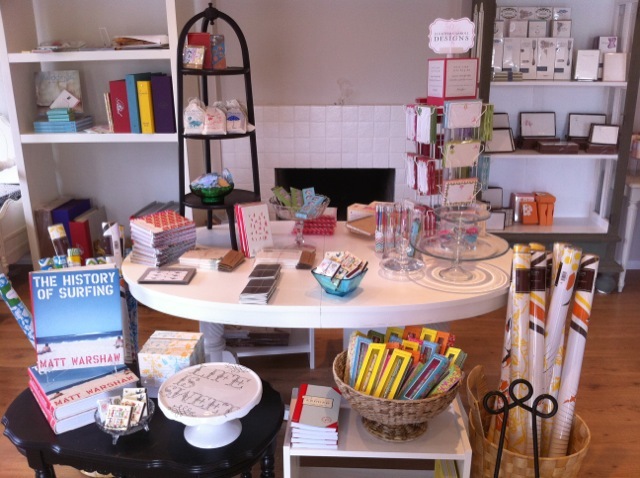 Here is a sneak peek of happenings in the store. Everything is out of boxes and we are starting to organize and set things up, but it is still definately a work in progress!! 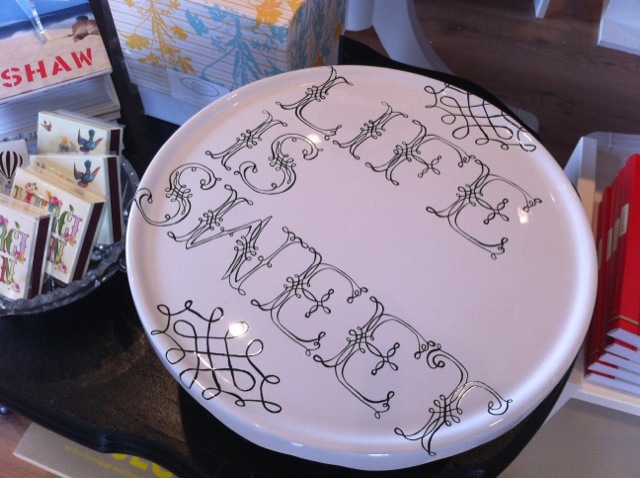 Below is the early stages of a vignette on one of our front tables. 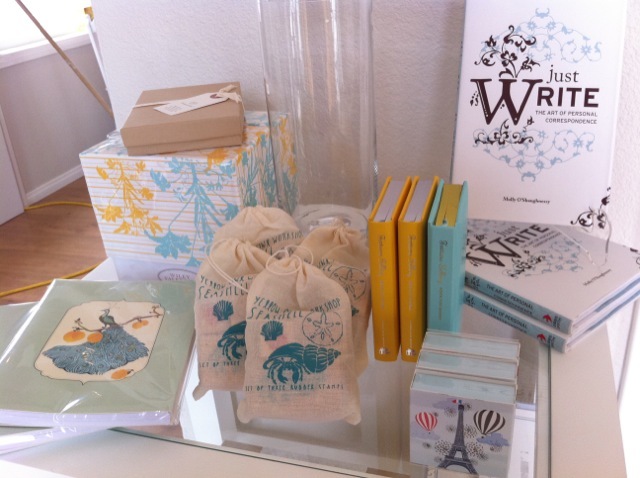 You can see a little Wiley Valentine, some Driscoll Designs matchbooks and notebook, a box of bluepoolroad thank you notes (that will be opened once the dust is completely eradicated), and yellow owl workshop’s seashell stamp set. The glass jar will of course be filled with some sweet candy! Very slick! I’m paper illiterate but not sweet illiterate. What will be in the sweet jars? When is grand opening? Wow! I love it!!!! The colors are so tropical and breezy. Makes you feel like sitting at the ocean and writing in a journal or reading a good book with some yummy drink! So inviting! Really beautiful!